The UST Mini-EVR power conditioner and voltage regulator is an industrial-grade microprocessor featuring a non-full-power semiconductor design. This unit continuously monitors output voltage and quickly switches transformer taps when voltage falls outside regulation range. The Mini-EVR™ automatically regulates voltage and conditions power with no operator or programming required. In the event of a malfunction, the automatic bypass actuates to isolate power electronics and controls while maintaining power to the load and all functionality (except voltage regulation). Industrial-grade means our Mini-EVR™ is compatible with all load types and load-power factors and provides a minimum 1,000% fault-clearing capability. Unlike computer-grade products, the Mini-EVR™ is designed for frequent high-inrush current and low-power factor loads without the need to oversize the product or sacrifice reliability. Mini-EVR™ installation is simple. The unit arrives completely assembled and requires no programming, testing, measuring, setting of switches, or internal wiring. It installs much like a dry-type transformer: simply place the unit and make the input and output wiring connections. For more product details, click here to download the Mini-EVR™ Specification Guide. Please call 800-876-9373 or email sales@power-solutions.com. 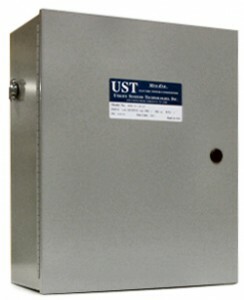 We can provide the technical assistance you need to select the proper Power Conditioner or UPS system for your needs.